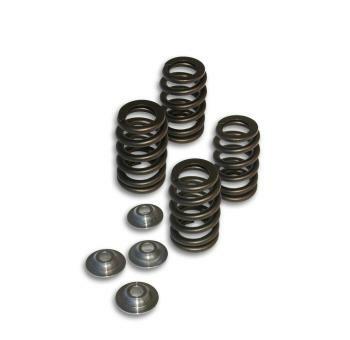 Kelford Valve Spring Kits - Pann Auto Performance - San Diego largest aftermarket automotive performance parts - What do you drive? We know the importance of a properly engineered valve-train system in a competition engine, so we make sure that the valve springs we recommend are suited to your application and our camshafts. We measure valve train weights and match required valve spring pressures to the valve lift curve, we analyse valve spring frequency and use Fourier analysis to determine spring / cam suitability. Basically we go the extra mile by investing in modern technology to supply proper solutions to racers that use our products.